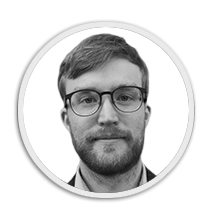 Max Weylandt is a Research Associate at the Institute for Public Policy Research in Namibia. As the lead researcher on the Democracy Report programme, he analyses Parliament’s legislative work, writing papers on current legislation and creating explanatory briefs aimed at the general public. In addition, his work includes research on governance issues in Namibia, specifically on extractive resources. He is heading a project that will see the creation of a website enabling Namibians to browse all mineral and hydrocarbon licenses in Namibia. Max holds a Bachelor’s Degree in Political Science from Dickinson College and a Master’s Degree in Development Studies from the University of Oxford. His Master’s research focused on opposition parties and their voters in Namibia’s post-independence elections.